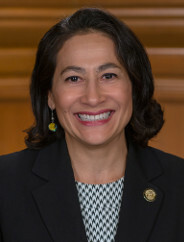 The mission of the Clerk's Office is to maintain the Board's legislative history and provide administrative support to the members of the Board of Supervisors in its response to the needs of the public. San Francisco Charter Section 2.108 states that the Board of Supervisors will liberally provide for the public's access to their government, meetings, documents and records. Therefore, excellent customer service, efficient response to the public and quality performance are major factors that enable the Board to function effectively.